Its got Wang all over it! So, this came up in a conversation about Balenciaga. Just look at it. It is B-e-a-utiful! Since Alexander Wang joined the French fashion house, he has definetly moved mountains for me and most certainly put his stamp on it (Balenciaga that is). From your trade mark ‘Motorcycle’ and ‘City’ Balenciaga bags, I was never too much of a fan. But now 6 months down the line; after Alexander Wang was appointed creative director of the brand; I can honestly say I would buy one. Maybe not now, but in general; its on the list! 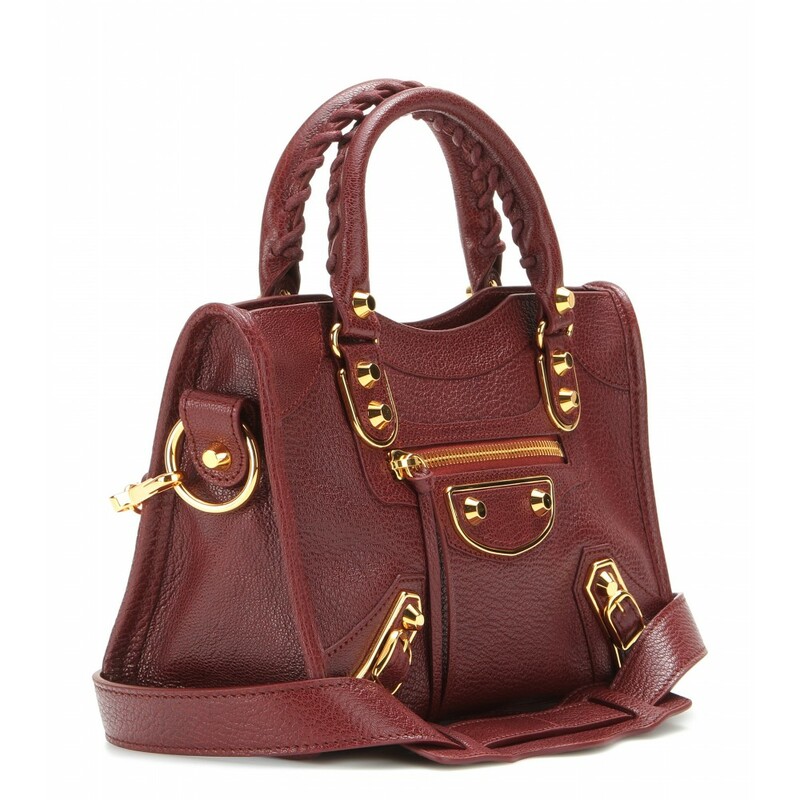 The ‘Classic Metallic edge Mini Leather Tote’ comes in a few colours, with the burgundy being my favourite and in the ‘City’- you can’t go wrong with the classic black!